The NBA Conference Finals is all set. Four teams fight for two spots in the NBA, finals, and only one will be crowned the champion. Can the Golden State Warriors defend their title? Can LeBron and Cavaliers have their revenge and bring the Championship Title back to Cleveland? Can the Boston Celtics surprise the fans one more time, or will the consistent Houston Rockets finish their seemingly perfect start to the season? Before the 2017-2018 NBA season took off, many predicted that the Boston Celtics and the Cleveland Cavaliers would eventually meet in the playoffs. However, just before the regular season ended, many had their doubts against the Celtics even making it past the first round of the playoffs. But this is not the case now. The Celtics are currently operating without two of their star players, Kyrie Irving and Gordon Hayward, and are still in contention for a spot in the NBA Finals. Through outstanding coaching, core players that gel well, and unlimited determination, they are a reminder of what it means to be a team in the NBA. The Celtics will have to face LeBron James once again. How they execute their plays against one of the strongest teams in the NBA will ultimately dictate the outcome of the series. There are a lot of scenarios here. They can focus and lock down LeBron’s help to force him to go all out every game and eventually drain him. They can also spread their defense and try to prevent Kevin Love and the other shooters Cleveland has in their arsenal. Last but not least, the Celtics should control their pace to continue to perform at their best. Meanwhile, Cleveland started slow and almost failed to make it past Round 1 of the playoffs. But this didn’t stop LeBron from going all out and carrying the Cavaliers to the Eastern Conference Finals just after sweeping the Toronto Raptors. As long as they have LeBron’s leadership, the team will get their opportunity to make a statement on the floor. The series could possibly stretch to seven games with the degree of team play the Celtics are currently on and the Cavaliers proving to be a solid team, giving the Cavaliers the slight upper hand in this matchup. This is the matchup everyone’s waiting for and is considered to be the real NBA Finals by some. Two of the best teams in the league will finally face each other in the Western Conference Finals. On paper, the Rockets get the win. They have the best statistical profile of any team Golden State and Steve Kerr has faced. Chris Paul and James Harden are both on full throttle as they spearhead Houston’s offensive line. Expect plenty of scores converted from pick and roll plays. Regardless, they still have to work on their defense since the Warriors can undoubtedly keep up with their best scorers. This means putting their best defenders on the floor who can shut down Kevin Durant, Klay Thompson, and Steph Curry. This is possibly the Rockets’ best shot at the title and one they wouldn’t want to miss for the world. As usual, it’s always been business for the Warriors. Despite Steph Curry suffering an injury right before the playoffs and missing a number of first-round games, the Warriors did not even bat an eye against the Spurs and the Pelicans. In total, the Warriors only lost two games in the 10 games they played before securing a Western Conference Finals spot. They shine in both the offensive and defensive department, which is what makes them the deadliest team in the NBA. But of course, the Warriors still need to look out for defense, particularly their rebounds. In all, this is a series that could potentially go seven games. While many favor the Rockets to dethrone the Warriors this year, Steve Kerr’s team still looks like the stronger team in this matchup. The Rockets have to step up their game if they want to book a trip to the NBA Finals this year. 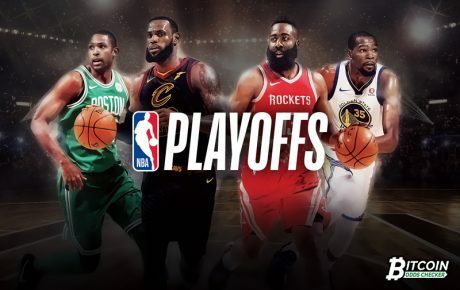 Looking to make the NBA playoffs more exciting?